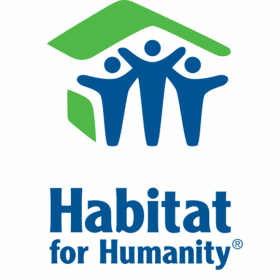 Enhance the Habitat for Humanity brand and reputation in the region by driving strategic communication initiatives and campaigns, targeted at relevant stakeholders. Design a digital campaign strategy and plan for regional implementation across multiple channels to achieve Habitat’s communications objectives. Build and maintain relationships with key social media seeking information and create opportunities to place information about Habitat to gain wider awareness and understanding of our work. Manage Habitat’s Asia-Pacific area office online activities and branded digital assets (website and social media channels). This includes curating content/materials, working with an in-house graphic designer and others in the AP communications team, national organizations and headquarters to publicize timely, compelling information about Habitat’s work in the region. Determine indicators and pinpoint analytics to monitor. Undertake analysis and report results of activities on branded digital assets, social media engagement and other regional campaigns. The manager will use the information gleamed to help inform the work of the AP communications team and other content providers, and to propose ideas for future activities. Guide national organizations and work with other regional office departments to ensure consistent messaging and branding. As a ‘brand coach,’ champion the brand to maintain integrity in all printed and digital collaterals published. Coach national organizations and area office departments on branding and digital campaigns related to fundraising, regional events and initiatives, program awareness, volunteer engagement, special builds, disaster response projects, international days, etc. Preferred: Post-graduate course/s in branding, strategic communications planning or digital marketing. Over seven years of related experience in a communications role with at least three years covering managerial and/or regional responsibilities. Experience with brand management and developing strategies and campaigns for brand building. Experience with managing websites, social media channels, content curation and data analysis. International NGO experience within the region will be a distinct advantage. Willingness to communicate and affirm the Christian roots and principles of Habitat for Humanity. Excellent English language writing ability and strong editing skills preferably developed in a news media environment. An editor's and creative director’s eye for detail. Strong research skills with clear reasoning and organizational abilities. Ability to work in cross-cultural settings, with cross-functional teams and be accountable to different project managers. Background in public relations, advertising or marketing. Proficient in Microsoft office suite and web computer skills. Ability to influence through persuasion, as opposed to direct line management.